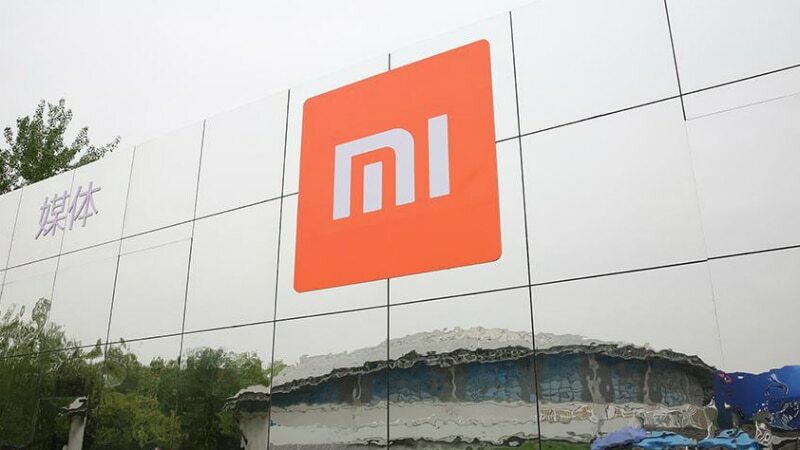 Chinese brand Xiaomi with 28.9 percent market share led the Indian smartphone market in 2018, followed by South Korean brand Samsung at 22.4 pe cent and Vivo at 10 percent, an International Data Corporation (IDC) report said on Tuesday. "The premium end of the market outgrew all other price segments in 2018 with 43.9 percent Year-on-Year (YoY) growth - OnePlus emerged as the leader in the price segment range $500-$700 (roughly Rs. 35,500 to Rs. 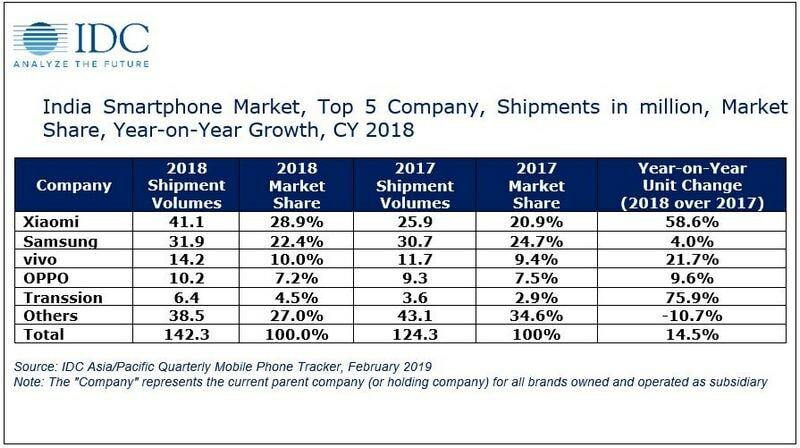 50,000) and in the super premium segment and Samsung surpassed Apple for the top position with its Galaxy S9 series," said Upasana Joshi, Associate Research Manager, Client Devices, IDC India. According to the report, the online-focused brands drove the online channel share to an all-time high of 38.4 percent in 2018 and a whopping 42.2 percent in 2018 Q4 whereas offline channels had a rather muted year with a modest 6.7 percent annual growth and a 5 percent sequential growth in Q4. "Shipments form Xiaomi, Asus, OnePlus and more grew online channels resulted by 47.3 percent YoY in Q4, but the offline channel was unable to keep pace with the deep discounts and go-to-market initiatives from the e-tailers almost throughout the year," Joshi added. The overall smartphone average selling price remained flat in 2018 at $158 (roughly Rs. 11,000), with high shipments in the mass segment of $100-$200 - which accounted for more than half of the smartphone market in India. 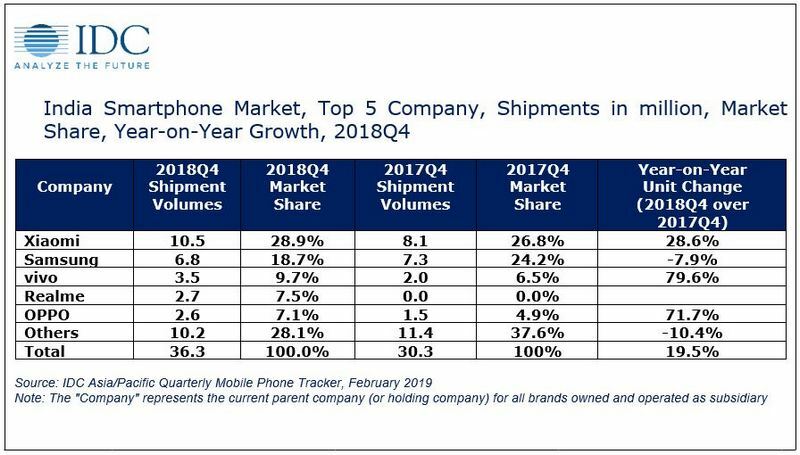 On the other hand, the feature phone market, primarily driven by Jio Phones -- which makes up 56 percent of the total mobile phone market clocked 181.3 million-unit shipments in 2018, with 10.6 percent YoY growth, the report said.